Bugaboo meets Missoni - Cameleon and Bee prams pop with pattern and colour! 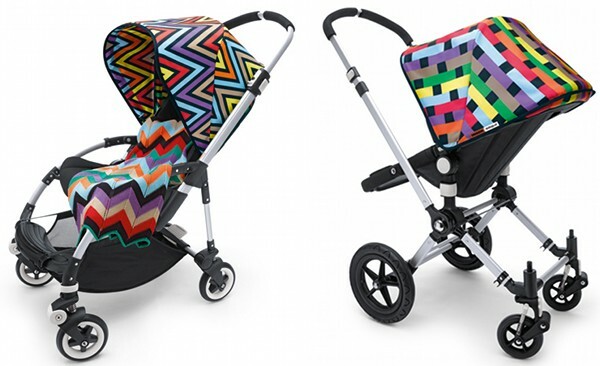 Bugaboo meets Missoni – Cameleon and Bee prams pop with pattern and colour! Here it is folks, the news we’ve all been waiting for. As my heart jumps around in my throat from excitement, the true deliciousness of this amazing collection is beginning to sink in! It’s Bugaboo meets Missoni; uber-chic Italian fashion house meets elite designer pram brand and for sure you’ll agree it’s a match made in heaven. Colour is my world – I’m obsessed with the way colours work together to create a feeling in a human being, the way we respond, the way it subconsciously shapes our movements and interactions within a space, as well as out and about. Children are very sensitive to colour and patterning, says Angela Missoni, so the Missoni Bugaboo collection has been created with this in mind. A gorgeous geometric print with blocks of colour cover the Bugaboo Cameleon hood and bassinet apron while the Bugaboo Bee is treated to stunning zigzagged patterning. 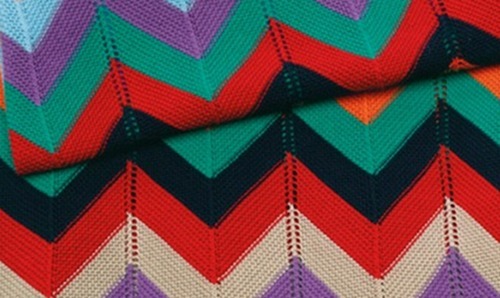 Each pram comes with an exclusive Missoni knitted blanket. 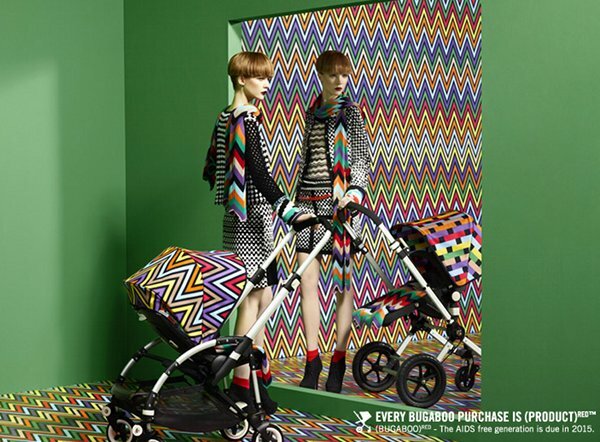 For me, this is instant love, with both Bugaboo Meets Missoni models destined to become great classics of the pram world. I just went all the way to pram heaven with this exciting collaboration. Bugaboo manages to pull out the most unexpected partnerships, keeping products fresh and up-to-the-minute with every new release. It looks like the Bugaboo + Missoni models will only be available at Neiman Marcus from July 2011, but we’ll update you should this change. We are really hoping that they will ship out a few of these stunners to Australia! We can hardly wait to cover the official launch of the Bugaboo Donkey from Amsterdam in May and hopefully we’ll get to view the Bugaboo Meets Missoni Cameleon and Bee too – not long to go and we’ll be updating you at every turn with information about this much anticipated mono-duo pram, a real innovation in baby travel! 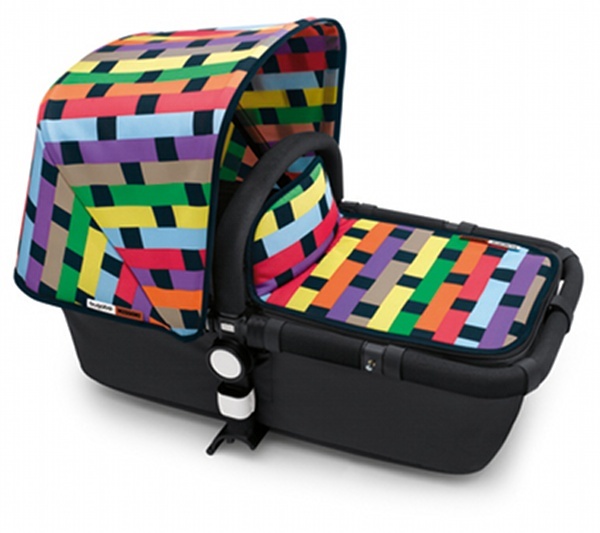 Update – have a look at the Bugaboo Cameleon Missoni Australian release and pricing details here. Be sure to compare the Bugaboo Cameleon and Bugaboo Bee using our fabulous Pram Chooser. Watch the Bugaboo Meets Missoni video!